A 33-year-old Eagle man is charged with possession of marijuana with intent to deliver after deputies found 11 drying pot plants and two pounds of dried marijuana inside his home late last week. Ryan Loy Thomas, who is also charged with manufacturing a controlled substance in the presence of a child, is being held in the Ada County Jail on a $15,000 bond. Thomas is set for a preliminary hearing on Aug. 19. Deputies began their investigation just before 5 p.m. Aug. 4, after going to Thomas’ home in the 600 of block Dolson Lane, near Linder and Hatchery roads, to investigate a report of hazardous living conditions. Once deputies arrived, they began smelling a strong odor of marijuana coming from inside the home. The deputies eventually got a search warrant after Thomas would not let them inside to look around. 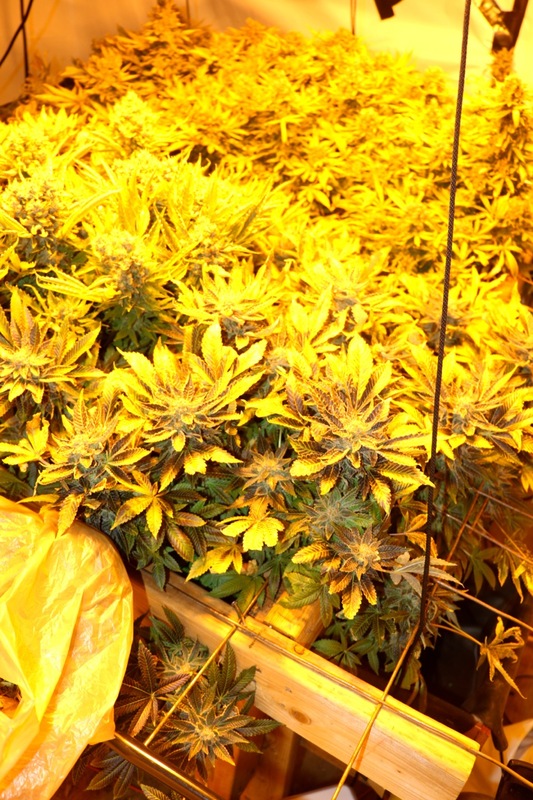 Once inside, deputies found 11 marijuana plants drying in a closet, a total of over two pounds of pot in various containers — including several live plants that were inside a room with an elaborate system of hydroponic equipment and grow lights. Both the drying closet and grow room were unlocked and accessible to a 5-year-old boy who lives at the home. Deputies eventually arrested Thomas and booked him into the jail later that night.